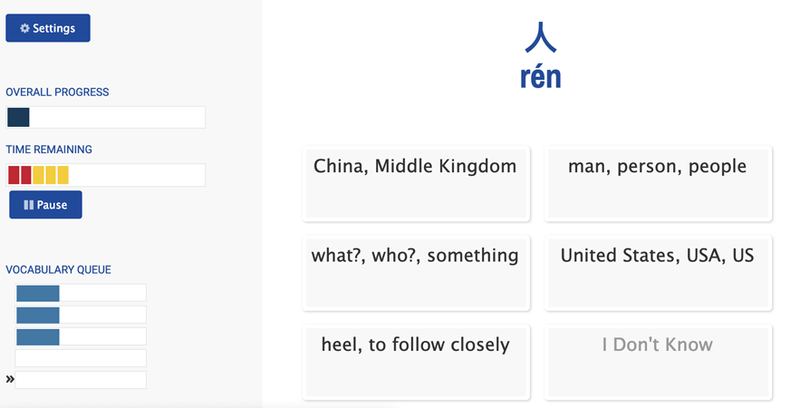 When you watch the videos as a subscriber, you can click on any Chinese word, and the word will be saved to your personal vocabulary list. Don't forget to watch the free Chinese videos, and subscribe today. 没错 :: méicuò :: that's right sure! 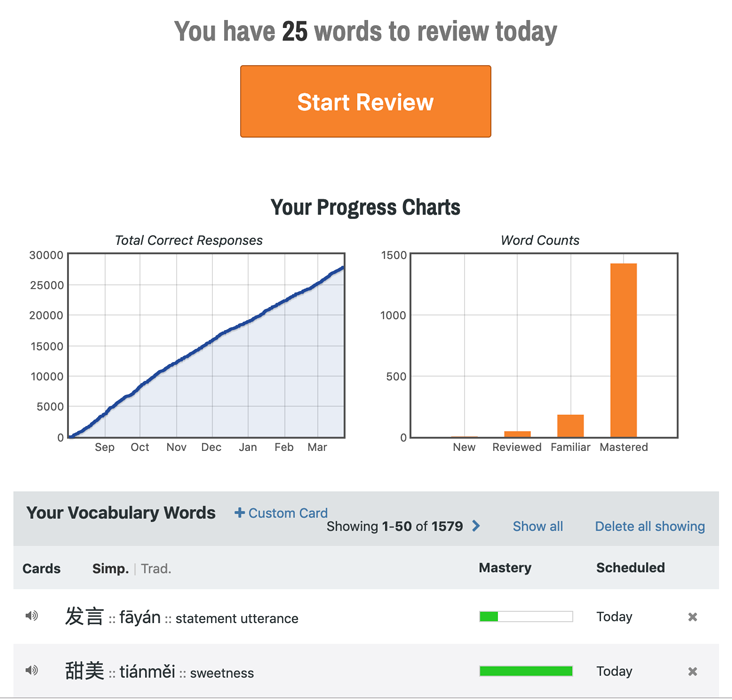 Yabla Chinese offers a spaced repetition system (SRS) where we keep track of the words you are learning and schedule them to be reviewed just before you forget them. 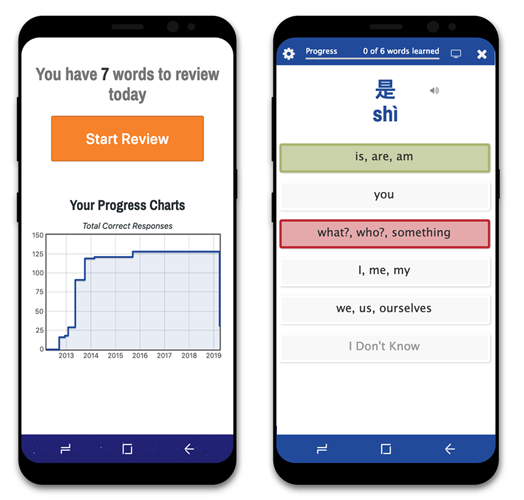 Subscribe today and start building your vocabulary with a personalized vocabulary set.